How do I add images to the instructions and ingredient fields? 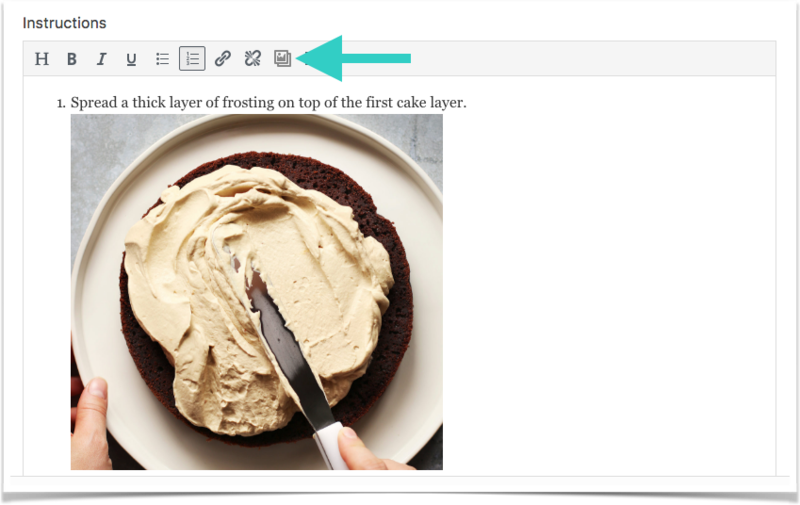 Learn how to add images to the description, ingredients, instructions, and notes fields. Tip: If you are adding an image to a list and you do not want the image to be its own item (eg. you don't want the image itself to be step 3 of the instructions), press Shift+Enter to put it on a new line but not as a new item.